Kenex's car is a 2.0 RS model finished in True Red from the Chiba region of eastern Japan. The car features some subtle styling additions with the emphasis on the front bumper and engine bay. 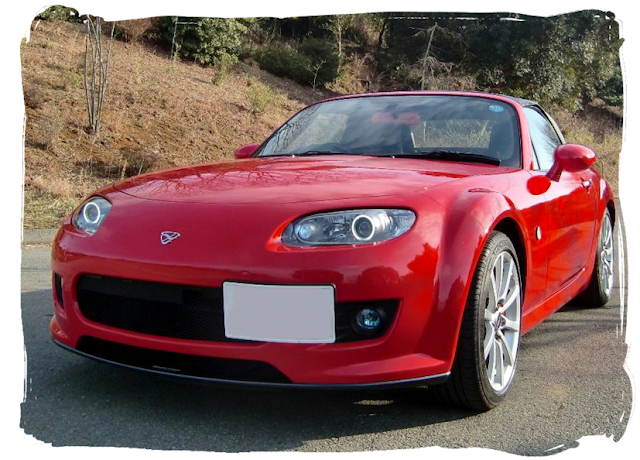 The exterior modifications feature the Mazdaspeed bumper which gives the front end a more purposeful look. 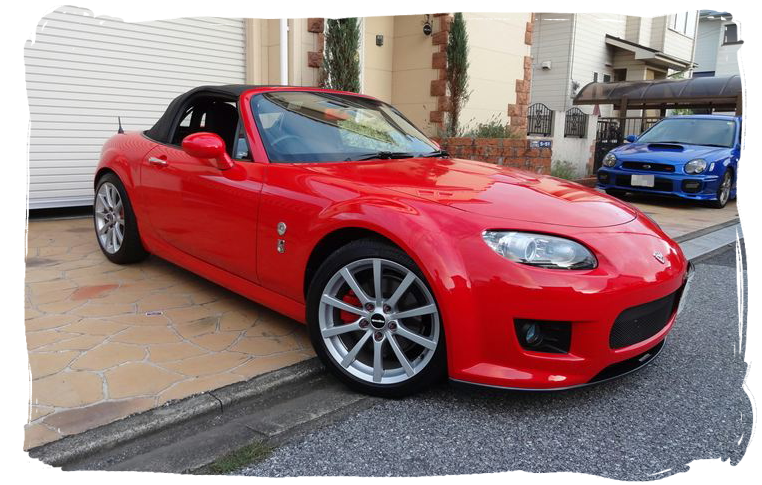 This part was available in the UK for the MX-5, though not marketed as Mazdaspeed, but it is still fairly rare due to its cost of nearly £1000. The front numberplate has been relocated to the side using a bracket from Sheonme and the Mazda wings badge replaced with a nostalgic Ẽfini badge. Custom angel eye style headlights finish off the front styling. The standard ten spoke RS wheels are spaced out to fill the arches by 20mm at the front and 25mm at the rear. Behind the wheels, the brake calipers have been highlighted in matching red paint. The sideskirts fitted to the car are the standard parts from the NC2 facelift. These are a slightly more sculpted design than the earlier NC versions and are easily interchangeable for a sportier look. 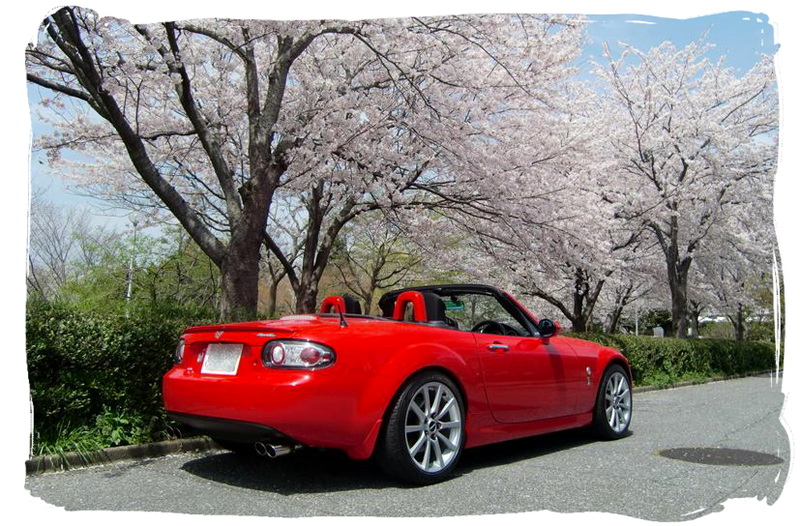 The early Mazda accessory rear lip spoiler and a short antenna finish off the rear end. In terms of performance mods, the car benefits from a stainless HKS exhaust manifold and a custom muffler featuring quad tailpipes. Tein High-Tech lowering springs are fitted to improve looks and handling. 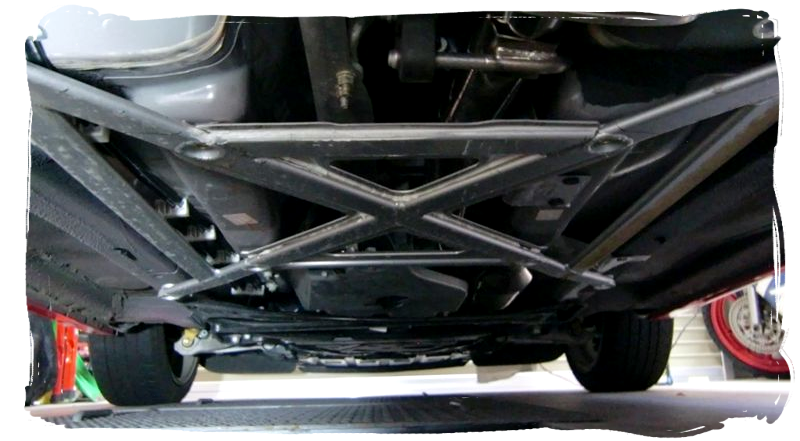 Underneath, the car is fitted with a reinforced additional cross brace from HKS Kansai Service, as well as some homemade bracing. 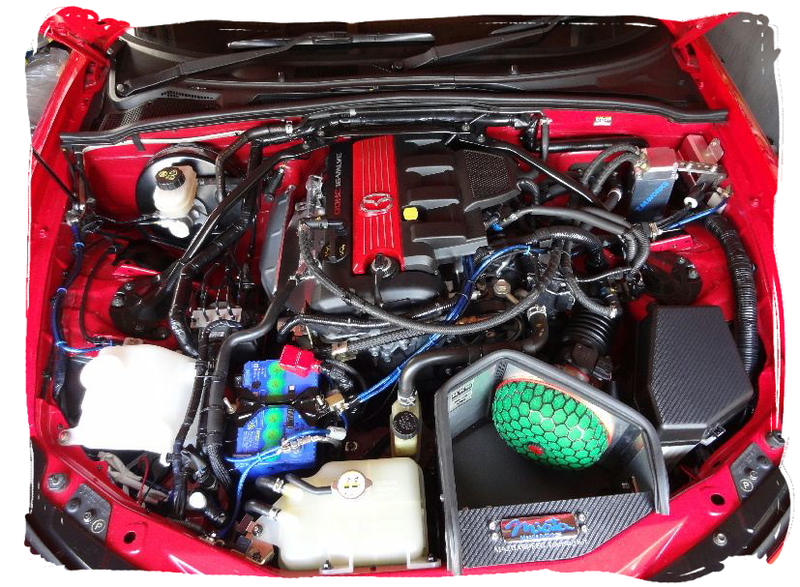 The engine bay features an upgraded Panasonic battery, oil catch tank, and the HKS Super Power Flow induction kit with a cold air feed from the front grille. There is also some customisation to the cam cover and carbon trim on the fuse box cover.